WHO: Ron Hynes, Jason Fowler, Mean Mary, Lynn Miles, Tony Quarrington, Rick Taylor, Danny Marks, Jack de Keyzer, Marianne Girard, Brent Titcomb, Ginger St. James, Laura Fernandez, Mr. Rick, Noah Zacharin, Tony Quarrington, Julian Taylor, Brian Gladstone, HOTCHA!, Grainne, Random Order, Swamperella, Maneli Jamal, Sue & Dwight, Glen Hornblast and many more! TICKETS: A combination of paid and free stages. 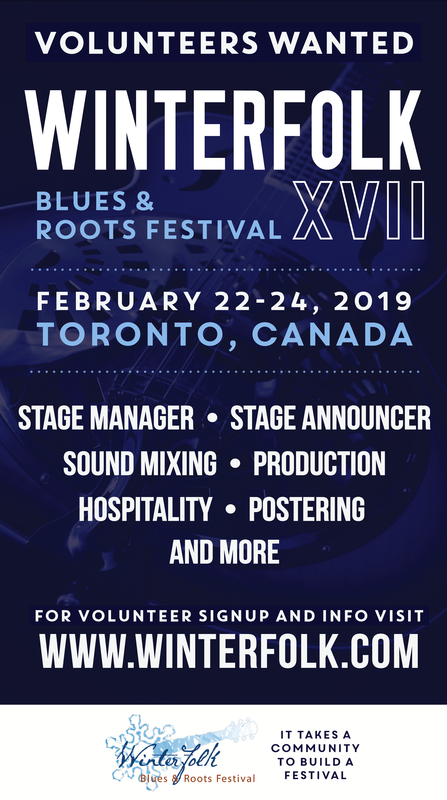 Winterfolk celebrates 12 years and will once again feature many of Canada’s top blues, roots and folk artists. Festival organizers are especially excited about six-time East Coast Music Award winner, Genie Award winner and a past JUNO, CCMA and Canadian Folk Music Awards nominee Ron Hynes and finger-picking guitar ace Jason Fowler, who will join more than 100 artists set to entertain the thousands of expected festival-goers. Many artists this year are returning acts from previous years. This includes: award-winning folk sweetheart Lynn Myles; dirty ‘30s finger-picker Mr. Rick (of Mr. Rick and the Biscuits); blues aficionados Danny Marks, Jack de Keyzer and Rick Taylor; powerhouse roots/pop artist Grainne; JAZZ FM radio personality and songstress Laura Fernandez, dynamic Cajun group Swamperella; ‘60s-inspired folk duo Sue & Dwight; and folk favourite Marianne Girard, among others. Winterfolk prides itself on helping to boost the careers of newcomers and this year is no exception. Audiences will be stunned by the extreme talent and high energy of Nashville-based artist, Mean Mary, who is new-to-the-festival and will showcase her multi-instrumental brilliance on banjo, mandolin and fiddle. Other emerging artists include: naughty but nice country singer Ginger St. James; guitar genius Maneli Jamal; clever and quirky songbird Sarah Beatty; indie space-pop darling JoJo Worthington; the heartrendingly real Dinah Thorpe; singer/storyteller Shawna Caspi; all alongside raucous bands like Whiskey Epiphany, fourth-wave ska-influenced Random Order and Spanish/Gypsy/Asian rock ‘n’ roll group Urban Gypsy. Added to this incredible lineup are some very special ticketed events such as community presenter Pete Otis’ Honouring Our Own series, which will pay tribute to one of the unsung heroes of the Canadian music scene, Tony Quarrington. Guest players include TV star, poet and folkie Don Francks and veteran keys/accordion dynamo Denis Keldie. 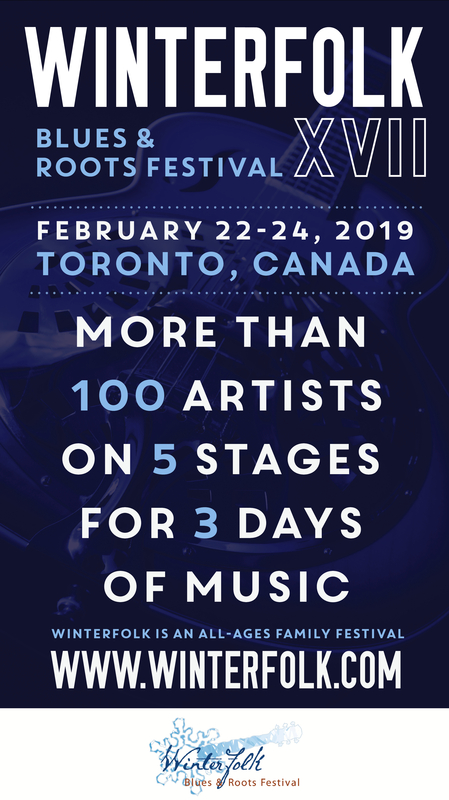 PLUS Community Stages: Songwriters Unite, Pete Otis & Songtown Presents, The Moonshine Café Presents, SPEAK Music Presents, NSAI Toronto, Acoustic Harvest and more! **Please stay tuned for more updates and info on the various stages, tribute concerts, awards ceremonies, community stages and workshops being held during the festival. Host Danny Marks is joined by Howard Gladstone and David Bradstreet to play their tunes and spin their tales. 8 p.m. Emerging Songwriters These three talented artists won their Winterfolk sets at an audition. Give a hand to Sarah Beatty, Pilot Light, and Lorne Allen. Maneli Jamal & Rick Taylor trade tunes at the speed of light. At no time do their fingers leave their hands. 11 p.m. Jack de Keyser starts off with a rare acoustic set, then is joined by his electrifying blues band to close the night. Steve Raiken, Roger Zuraw, Mark Dennington, Sharon Katz, and more! Three of Canada’s top songwriters play tunes and reveal their songwriting process and magic. Host Marianne Girard divides crowd into four groups, each with a mentor (Dinah Thorpe, JoJo Worthington, Julian Taylor) then writes and performs a song. Flying Fingers Host D’Arcy Wickham with Jason Fowler, Brian Gladstone and Noah Zacharin demonstrate a variety of guitar techniques and styles. Artists are invited to bring their instruments and sign up to play a few tunes. Sign up starts at 1:00 p.m. Host Russell Leon presents songwriters in the round. Jack and the band are joined by six string guests Mike McKenna, Noah Zacharin, Jason Fowler, Danny Marks, D’Arcy Wickham, Mr. Rick, Tony Quarrington and more! Sign up starts at 3:00 p.m.
9 p.m. Mean Mary – Unleashed! Voice of a Generation, featuring some of the iconic talents from the area’s halcyon days in the ‘60s and early ‘70s. Author of ‘Before the Goldrush’ Nicholas Jennings, one of Canada’s foremost music journalists and historians will talk about the history of the local roots scene and show rare slides and images of Canada’s emerging roots scene in the ‘60s. Hosts Sue and Dwight with Michelle Rumball and Tony Laviola – An audience participation, 1960’s sing-a-long tribute. Ten years after his passing, friends and fans of the late Rick Fielding gather to remember the life of this great Canadian artist, through songs and stories. Opening set by Host Andy Griffith. Artists are invited to bring their instruments and sign up to play a few tunes. Sign up starts at 1:00 p.m.
Winterfolk gratefully acknowledges the generous support of the Government of Canada through the Department of Canadian Heritage, the Ontario Trillium Foundation, the Toronto Arts Council, the SOCAN Foundation, FACTOR, Long & McQuade Musical Instruments, Metroland Media, and JAZZ FM. We are presently confirming interviews and images are available upon request. Please add to your listings. Thank you!